AluFoldDirect’s Aluminium Installer Training Academy is now open, giving installers the opportunity to upskill on fitting aluminium glazing and install the Everything Aluminium range right first-time, every time. 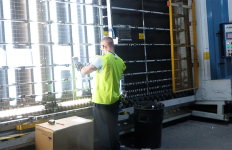 Based at AluFoldDirect’s Blackburn HQ, the academy has been purpose-built, so that installers can get practical, hands-on training from the aluminium experts. 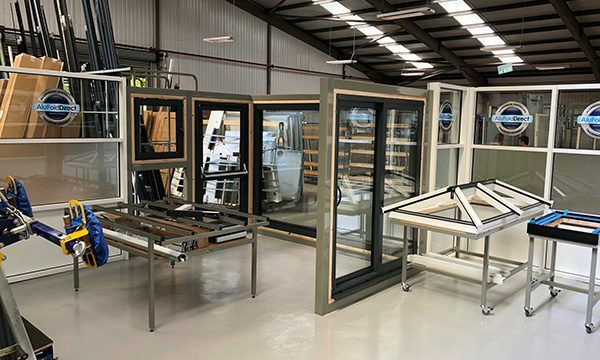 In rigs, there are full-sized samples of the Everything Aluminium range including bi-fold doors, sliding doors, windows, commercial doors, roof lanterns and flat rooflights, so that installers can get trained up on best-practice fitting. Training sessions are free, and they are adapted to suit each company’s training needs, to fill skills gaps in the team and grow their aluminium glazing profits. 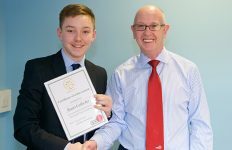 Craig Miller, Managing Director at AluFoldDirect says: “The academy is one-of-a-kind. We knew that some installers were getting aluminium installation wrong, which was causing them lots of hassle. Others were having smaller issues, but it was still eating into their time on site. “That’s why the Aluminium Installer Training Academy has been built and it’s the reason why we’ve made training sessions flexible, to suit each installation team. “The academy is run by our in-house expert, Paul, whose fitting knowledge is invaluable. 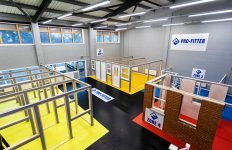 Customers can choose to come and get full training on the Everything Aluminium range, get a refresher course for experienced installers or train to become an Infinium Glazing Accredited Installer. “Whatever they choose, the academy gives installers the confidence to take on bigger aluminium glazing projects and fit it right first-time, every time. Bookings are being taken now for the AluFoldDirect Aluminium Installer Training Academy.